The Panasonic Toughpad JT-B1 is a high quality tablet released in January 2012. With no support for GSM voice communication or SMS/MMS usage, this is a great device coming with a magnesium alloy chassis that protects it from being damaged. If you are lucky enough to own it for longer than 2 years, you might have started to notice a few errors and software issues that will make it difficult to enjoy your user experience. 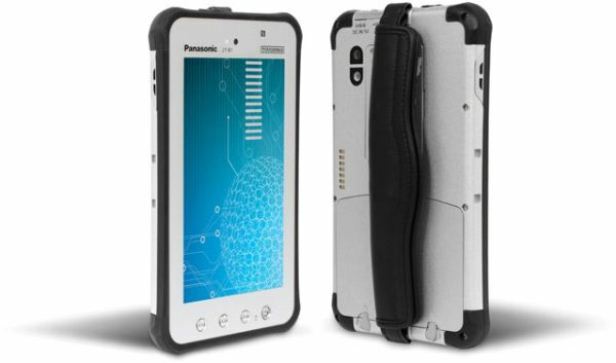 This article is going to show you how to solve such problems by performing a hard reset on the Panasonic Toughpad JT-B1. This is one sure way to make sure that all viruses are being removed, as it will refresh the operating system and erase all user data. The only downside of the procedure, as you might have observed, is the fact that you’ll be losing all files stored on the internal memory, but you can always create a backup before proceeding. Running on Honeycomb – Android’s v3.2 OS, this device only comes with a 2G network, but you can easily surf the web using the Wi-Fi 802 hotspot it has. Its internal storage capacity is of 16 GB, but you can use a micro SD card to store more than just that. It also had 2 cameras equipped with geo-tagging that can serve for taking photos and recording videos – one on the front and the other one placed on the rear side of the tablet. Other relevant features are the non-removable Li-Ion battery, the Bluetooth v2.1 and the microUSB v2.0. To make sure you won’t lose any important media content – music, videos, pictures – or contacts and apps you have installed on the tablet, the first step you should make is creating a backup. This one will store all necessary data, so you can easily restore it once the reboot is complete. It can be done either by connecting the tablet to a PC with the USB cable, by transferring files on to the micro SD card or by saving everything on a cloud. Alternatively, there is a very popular application that can be downloaded online and will help you make sure that all your files are safe. This one is called Phone Copy and it’s suitable for most Android devices, included this tablet from Panasonic. Once you’ve installed it, the on-screen indications will show you how to transfer all needed documents. Make sure that the battery is entirely charged and switch the tablet off. Press the Power key and the three A buttons at the same time – A1, A2, A3 – as shown in the image to the right. Once the tablet vibrates, release the Power button and wait for the reboot menu to pop up. Don’t release the other three keys before the options come up on the screen, then use the A2 and A3 keys to scroll up and down. Select Wipe Data / Factory Data Reset and press the Power key as a confirmation. If prompted, tap Yes in the same way and select it with Power. At this point, the tablet will have begun to format itself, and the operation will take maximum 5 minutes. Don’t interrupt it, so you don’t block any of the loading applications. Once it will be ready, the device will automatically restart and indicate that it can be used as before – this is when you can use the backup.